I have to jump back to Rome, because I forgot one of the more memorable moments of the trip. Our second day in the city was notable for the wonderful picnic lunch that the kids bought in the morning. I sent them off in groups to buy the necessary ingredients. It was a great success, except for the one group that boarded the wrong bus and ended up in a rough neighborhood outside of town. 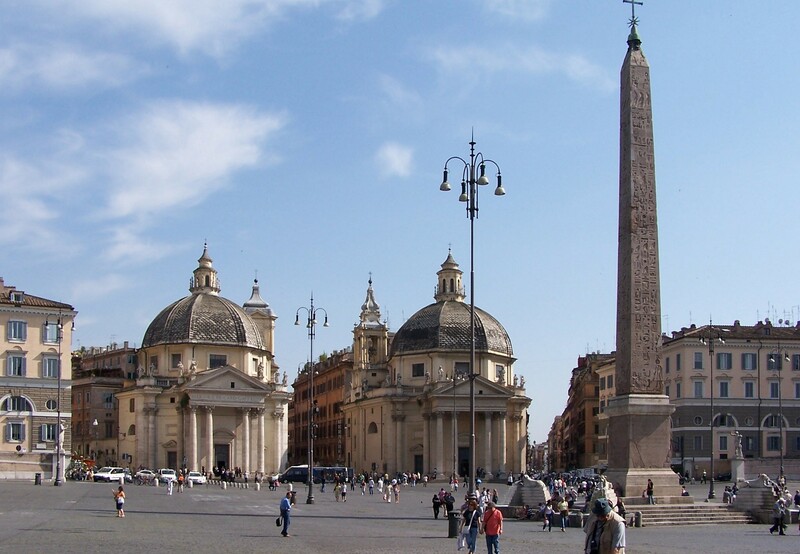 But, they made it back and we enjoyed a nice lunch in Piazza del Popolo. It helped me a bunch that one of kids brought with them a knife to help cut the food. After lunch, we headed back to the hotel. We boarded the metro and waited the two stops it would take to get back to the hotel. And…. here the troubles began. We arrived at the stop for the Vatican (close to the hotel) and half of the kids didn’t push hard enough for us to get off. Thankfully, my separation plan too effect. The kids who made it off sat on the platform and waited for the rest of us to go an additional stop, get off and make it back. We’re all together. 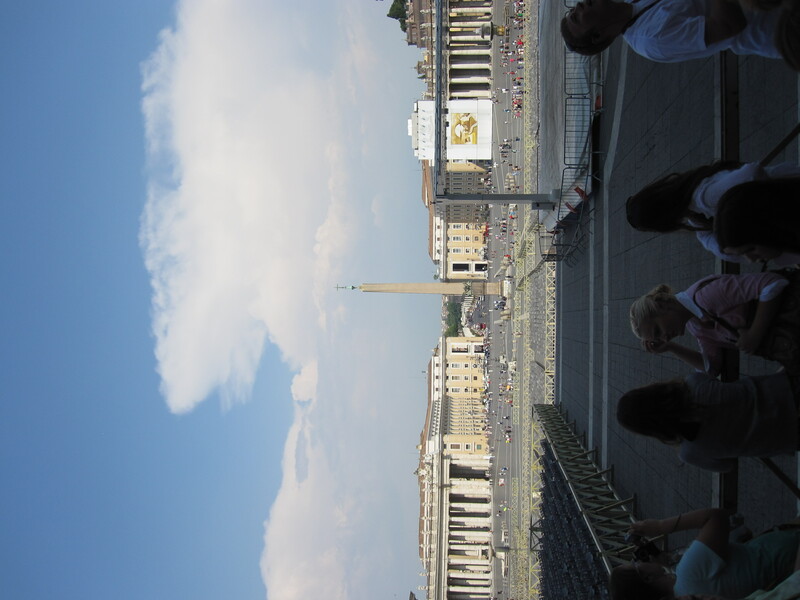 We head back to the hotel and then have to walk to right outside the Vatican for our tour to begin. I’m worried about the girls wearing appropriate clothing for inside, so that was what I focused my attention on. Not on knives. 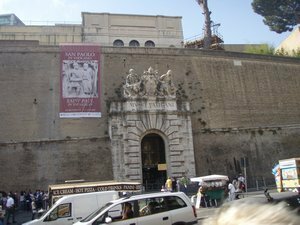 You have to pass through security in the Vatican. I’m bringing up the rear with another group leader (all four Italy groups were in Rome together) and heard from the someone else, “One of your kids is being stopped by security.” Well, he was. They had found the swiss army knife from lunch. I was freaking out. “Maybe they’ll think he brought it to come assassinate the Pope.” That would have been an insane assumption, but sometimes I don’t make sense. Anyways, they confiscated the knife and put it with the coats. The only really bad part of what they did was that the student and I had to walk around the entire complex (from St. Peter’s) to pick up the knife after the tour. In 105 degree heat. Now, it’s kind of funny. Remember that time you tried to sneak a knife into the Vatican?